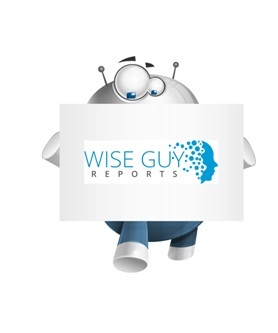 WiseGuyReports.com adds “Telemedicine Technologies Market 2019 Global Analysis, Growth, Trends and Opportunities Research Report Forecasting 2022” reports to its database. The global market for telemedicine technologies was valued at around at $26.7 billion in 2016 and is expected to reach around $77.2 billion in 2022, growing at a CAGR of 19.4% during the forecast period of 2016 to 2022. Telemedicine technologies Market, 2014 – 2022f report from The Business Research Company provides the strategists, marketers and senior management with the critical information they need to assess the global telemedicine technologies market. Where is the largest and fastest growing market for telemedicine technologies? How does the market relate to the overall economy, demography and other similar markets? What forces will shape the market going forward? The telemedicine technologies global market report from the Business Research Company answers all these questions and many more. The report covers market characteristics, size and growth, segmentation, regional and country breakdowns, competitive landscape, market shares, trends and strategies for this market. It traces the market’s historic and forecast market growth by geography. • The market overview section of the report defines and explains the market. • Market segmentations break down market by industry, by type of product, by geography. • The market breakdown by geography gives an analysis of the market in each geography and the size of the market by geography and compares their historic and forecast growth. It covers all the regions, like Americas, Asia-Pacific, EMEA (Europe, Middle East And Africa). Markets covered: Tele-Home, Tele-Hospital, Tele-Radiology, Tele-Consultation, Tele-Monitoring, Tele-Surgery, And Others. Telemedicine allows healthcare professionals to evaluate, diagnose and treat patients in remote locations by using telecommunications and information technology as medium of communication between patients and doctors. Telemedicine is also referred to as telehealth or e-health. Telemedicine enables patients in remote locations to access medical expertise easily, efficiently and without travel. Telemedicine provides more efficient use of limited expert resources to monitor patients in remote locations whenever it is required without leaving their facility. In addition, this technology helps local practitioners to consult with their peers and with other clinical experts when it is required. Telemedicine further allows them to participate in seminars and educational conferences they would not normally have access to without travel and time away from their patient. Telemedicine has now become standard medical practice and is in daily use across various developed and developing countries as a cost effective solution to deliver healthcare treatment patients in remote locations. Over 10,000 peer review papers have been published over the past 20 years supporting the clinical effectiveness and cost savings of telemedicine. Telemedicine services found its application various medical service areas such as pathology, cardiology, dermatology, pediatrics, genetics, radiology, psychiatry, diabetes control, among others. The global telemedicine technologies market is primarily driven by pressure to reduce healthcare costs, increased use of mobile devices for healthcare and increase in government funding. In addition, rise in base of geriatric population, increased medical treatments in remote locations, technological advances and rise in demand for quality healthcare further propelling the growth of this market. Despite the presence of several drivers, the market for telemedicine is facing some challenges and a major challenge is the lack of common standards. The specific standards of telehealth applications for various medical service segments still needs to be defined appropriately by healthcare administrators in various countries. Another challenge is the management of large volume of data that is increasing exponentially as a result of advances in telehealth technology. Geographically, the market for telemedicine is led by North America and is followed by Europe and APAC. Strong regulatory support, early adoption and consumer awareness made US, the leading country for telemedicine technologies market. Some of the prominent players of this market include Aerotel Medical Systems Limited, AMD Telemedicine, Inc., Apollo PACS Inc., GE Healthcare Ltd., Polycom, among others. The global market for telemedicine technologies was valued at $26.7 billion in 2016 and is expected to reach $77.2 billion by 2022, growing at a CAGR of 19.4% during the forecast period of 2017 to 2022.